Increasing figures of smartphone usage mean that businesses should be considering a mobile friendly website (if they do not already have one!). Consumers are now choosing to access content at any time and in any place, via their smartphones. These consumers expect every website they access to load just as fast on their mobile handset, as it would on a regular computer. 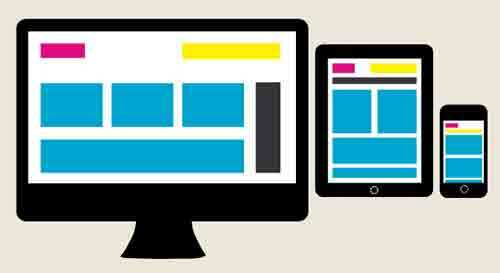 This means that your website must be responsive to smartphone and tablet screens and also simple to navigate. Investing in a responsive or mobile web design will most likely work to the benefit of all SMEs; particularly those targeting young teens. There are two options; you can either choose to create a separate mobile friendly website or to optimise your existing website for mobile browsing, so that it is compatible with multiple devices. Smartphones influence the consumer buying process in a number of ways. Smartphones instantly place endless amounts on information in the palm of consumer’s hands. Mobile devices make it easier to access decision making factors such as product reviews, price comparisons and product availability. GPS can also be used to find the nearest store location. So even if you have the cheapest product within a customer’s location; one bad review can tarnish your reputation and remove a potential sale within a matter of minutes. Smartphones have also been found to increase the rate of impulse purchases, particularly in the area of clothing and music. 96% said that an online review has influenced whether or not they purchased a product. After reading a positive online review of an item, 80% said they would be more likely to purchase and 92.4% said they would pay more. 67% were less likely to purchase a product after reading a negative review. 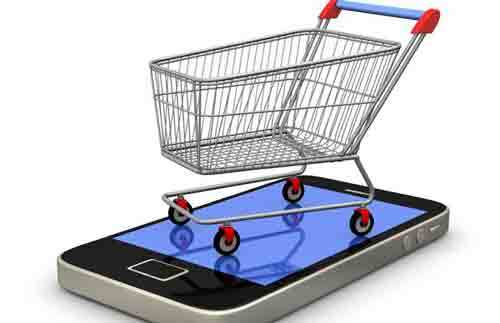 Just under 40% of smartphone users admitted to using their phone to carry out product research while shopping. Smartphones are all about communication, so why not use this to your advantage? Adding an instant chat function to your website, or offering coupon discounts for customers who sign up to a particular marketing incentive can be a great way to stay in touch with your target audience and to build a good reputation. Additionally, social media can be used to communicate with your target market. Smartphones make it extremely simple to access social media channels, and also make customers less reluctant to respond to businesses. So now you know that a large majority of your current and potential customers are accessing your website via a mobile device and that these devices can impact their purchase decision – what’s next? When a customer lands on your web page, they should be influenced to either make a purchase or to contact you. These are called ‘Calls to Action’. Along with plenty of effective CTA’s, it is essential that your site content is customer focused, well-structured and engaging. For more details on structuring your website content or to discuss how you can benefit from a mobile marketing strategy, contact us today on 01 6853388.